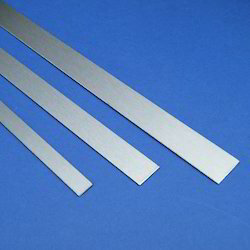 Owing to the presence of our expert team members, we are able to offer a wide range of Nickel Alloy Strip. ASTM F3 Nickel 270, has low base hardness & high ductility. It is useful for electrical resistance thermometers, platters bars, passive cathode, fluorescent lamp components & electrolytic cell anodes. Form: Cold finish bright, hot rolled black, forged round bars with ultra ok.
We are betrothed in present an exclusive series of Nickel Strips. Our products are available in varied specifications that meet on precise necessities of our customers.